The Social Media offers ease of connecting with people anytime anywhere only for the expense of some data packets. This is one of the prime reasons people who use a computer or mobile device also uses some kind of social media too. There comes new social media sites everyday. This is why Social Media Developers are high on demand world over. Blogs, Business Networks, Enterprise Social Networks, Forums, Microblogs, Photo Sharing, Products/Services Review, Social Bookmarking, Social Gaming, Social Networks, Video Sharing and Virtual Worlds. How many social media are there? There is no precise limit; a new social network is coming every other moment. 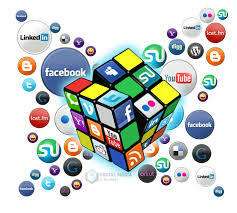 The flood of social media has created a new kind of social network termed as “Social Media Exchange”. Generally such exchanges are used by business organizations especially mid size businesses looking to make it big.